Even if you aren’t trying to go green yourself, you have probably at least heard of it and know what it means. But….do you really know what it means? Are you fully aware of how vitally important it is that we all make an effort to live an earth friendly life? You may think you don’t have time to go green or that you couldn’t give up your technology and creature comforts. But, going green doesn’t mean that you have to make a drastic lifestyle change. If you want to quit your job, sell your house and go live in a cave…fine. But, there are plenty of things you can do to help the environment that aren’t quite so drastic as reverting back to Neanderthal times. Every effort made to be kind to the earth is worthwhile. Small things add up to big differences, so try to make a conscious effort to think green even in minor ways. Ask your boss about either letting you work 4 ten hour days or maybe working from home part of the time. Telecommuting is much more eco friendly than the average commute; be it by train, bus or automobile. Less emissions means cleaner air for all of us. Boston Mayor Martin Walsh on Tuesday celebrated National Small Business Week while at Tremendous Maid in Jamaica Plain. At the local business, Walsh announced that the Department of Neighborhood Development‘s Office of Business Development plans to expand its “high-impact tool box” that provides personalized, customized assistance to small businesses based on their needs, according to an announcement by Walsh’s office Tuesday. 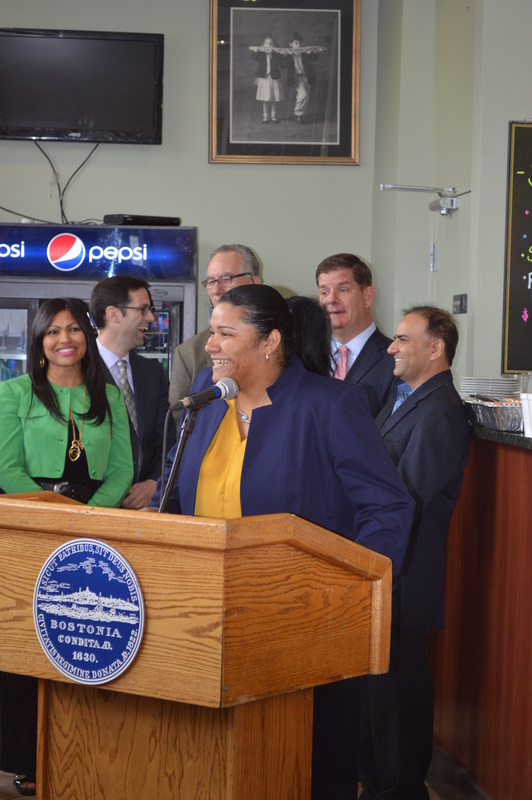 “I’m proud of our City,” Walsh said Tuesday while at Il Panino Cafe and Grill in Jamaica Plain. 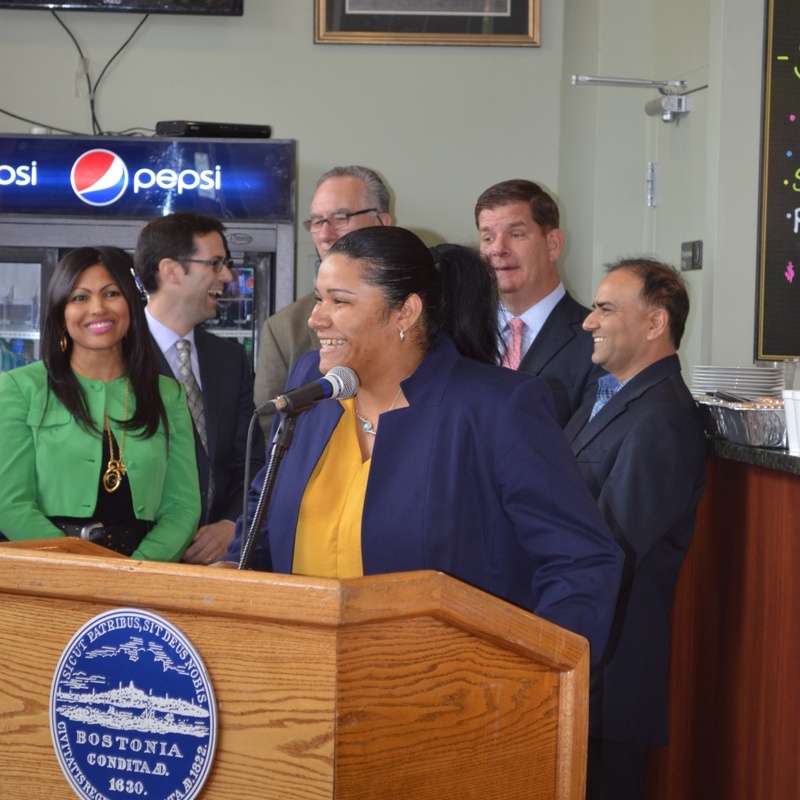 “Boston is one of four cities in the country recognized by Small Business Administration (SBA), to officially celebrate National Small Business Week. As part of the expansion, OBD is expected to more than double its budget to $250,000 for its One-on-One Small Business Assistance Program, and expand its Social Media Accelerator programming. The program aims to serve small businesses during the hours that work for them and at no cost to the business; services include assisting with accounting and financial management and business operations, among others. Tremendous Maid also known as Boston’s Best Commercial Cleaning is a family-owned business based in Jamaica Plain, is participating in all three of OBD’s programs. For more information, visit dnd.cityofboston.gov/#page/BusinessDevelopment.